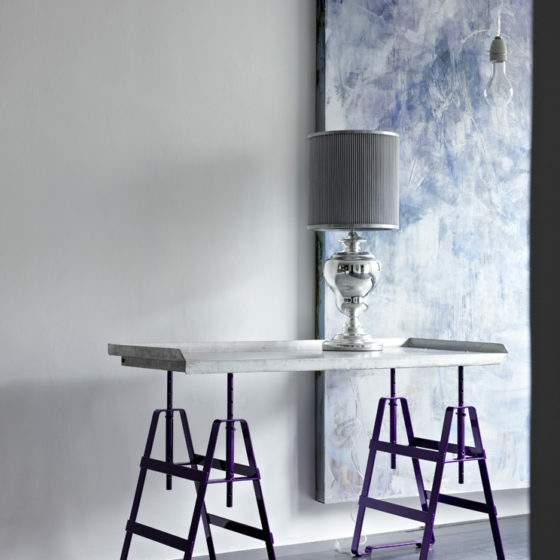 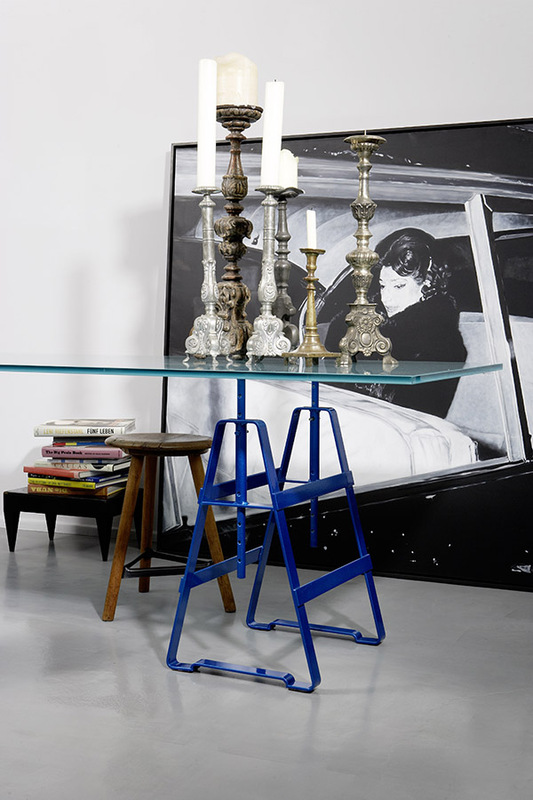 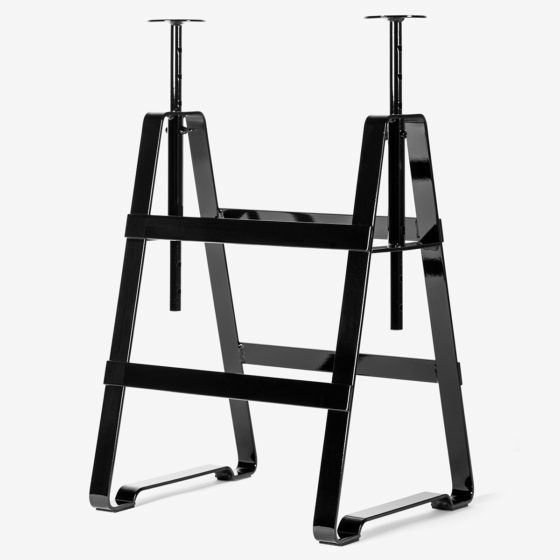 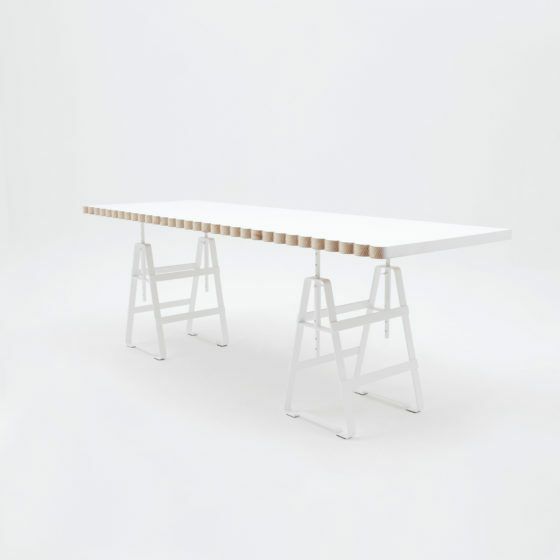 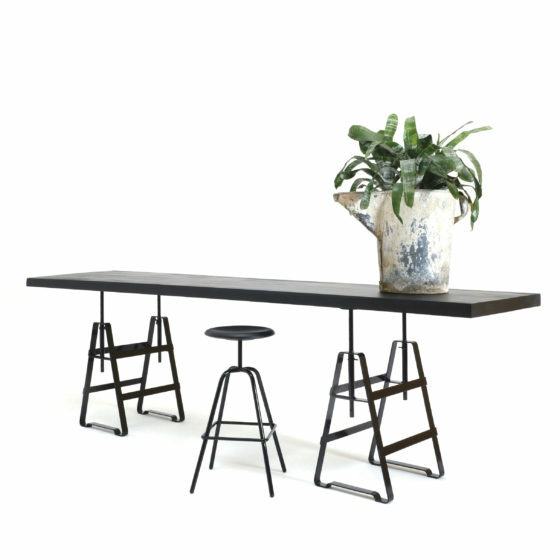 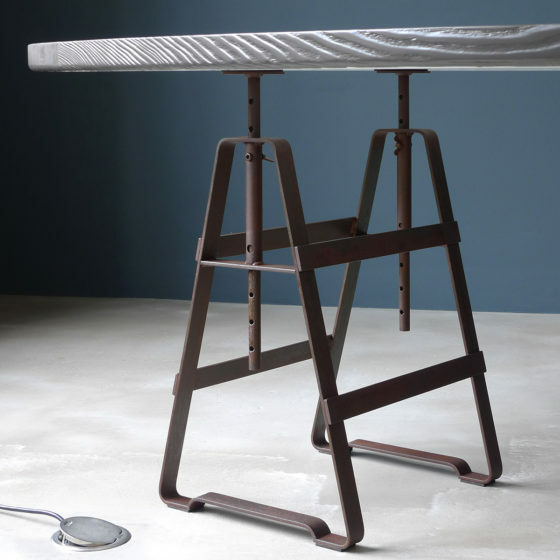 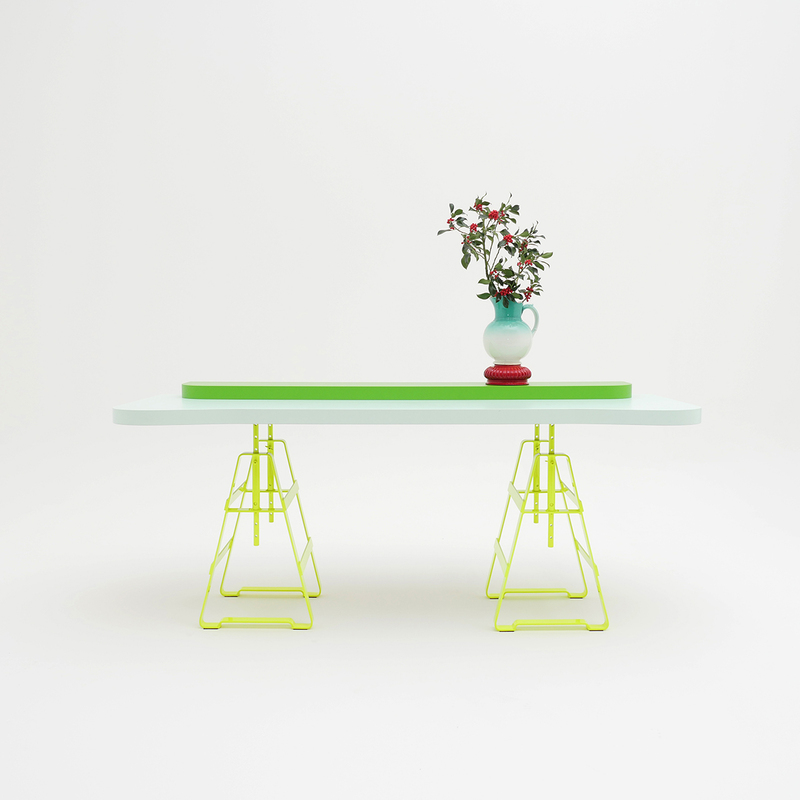 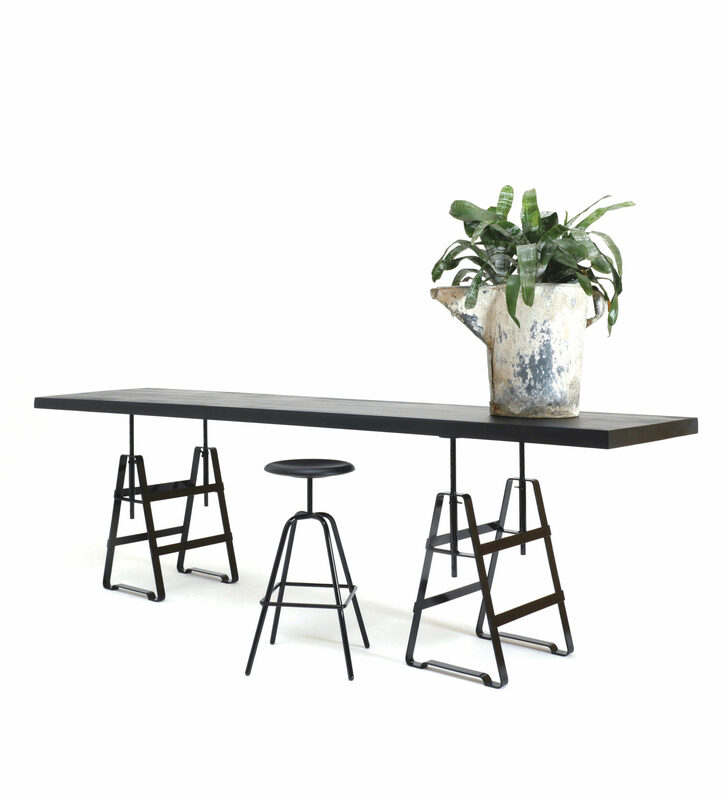 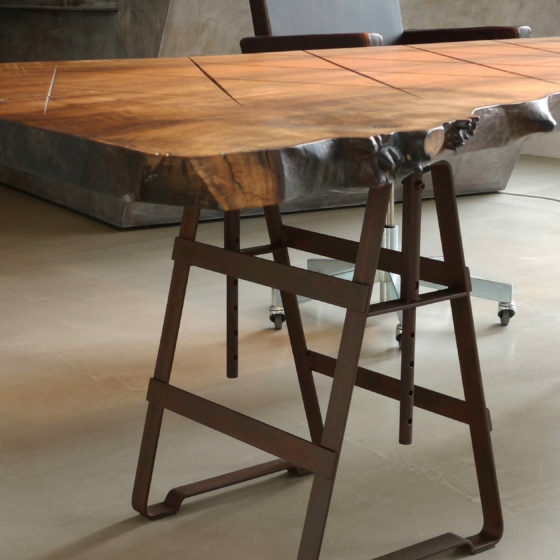 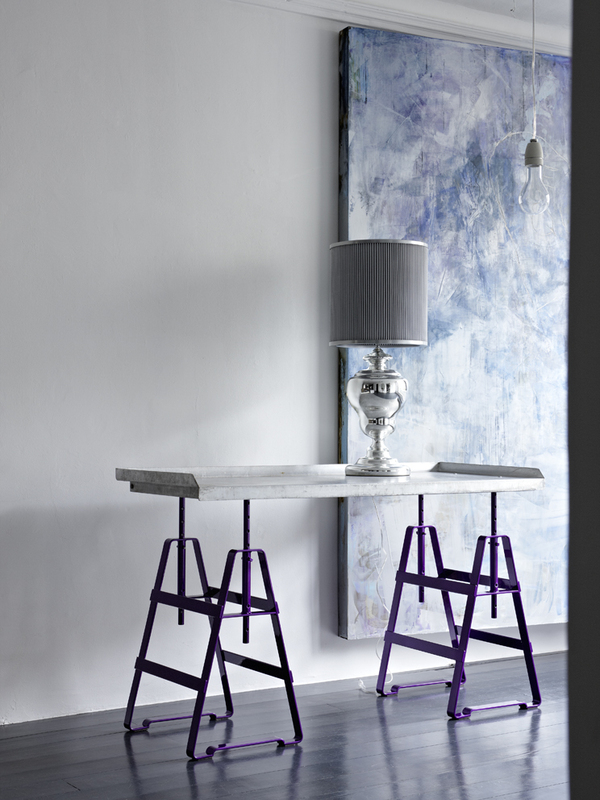 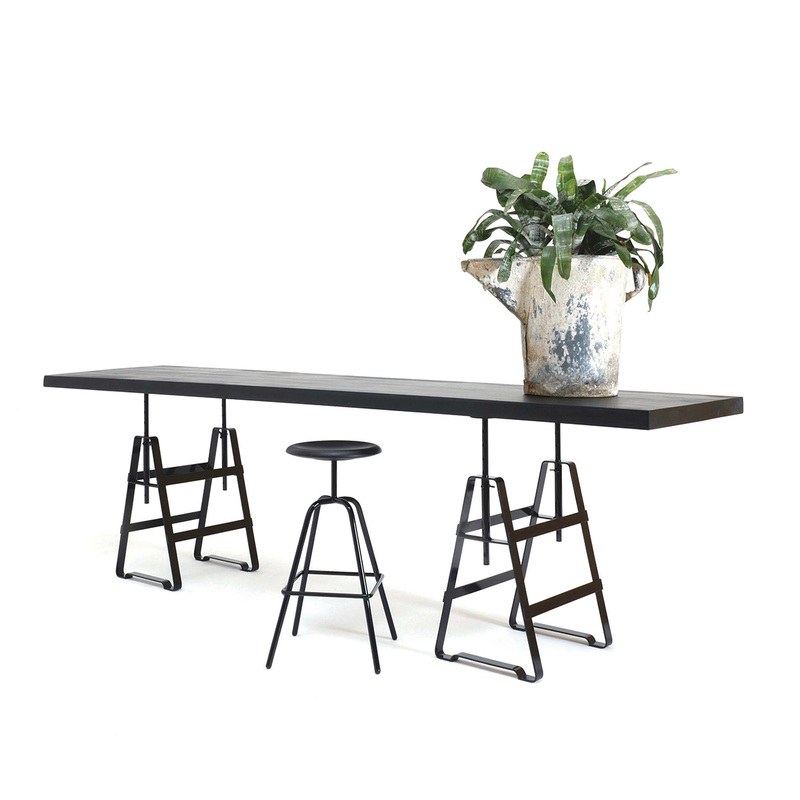 Design Thesenfitz & WedekindA height adjustable trestle made from oiled crude steel. 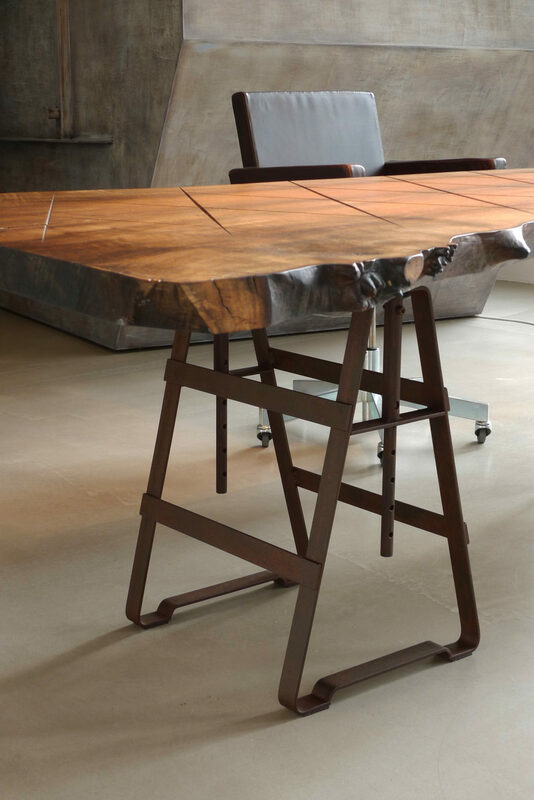 It is applicable with several shelves and slabs. 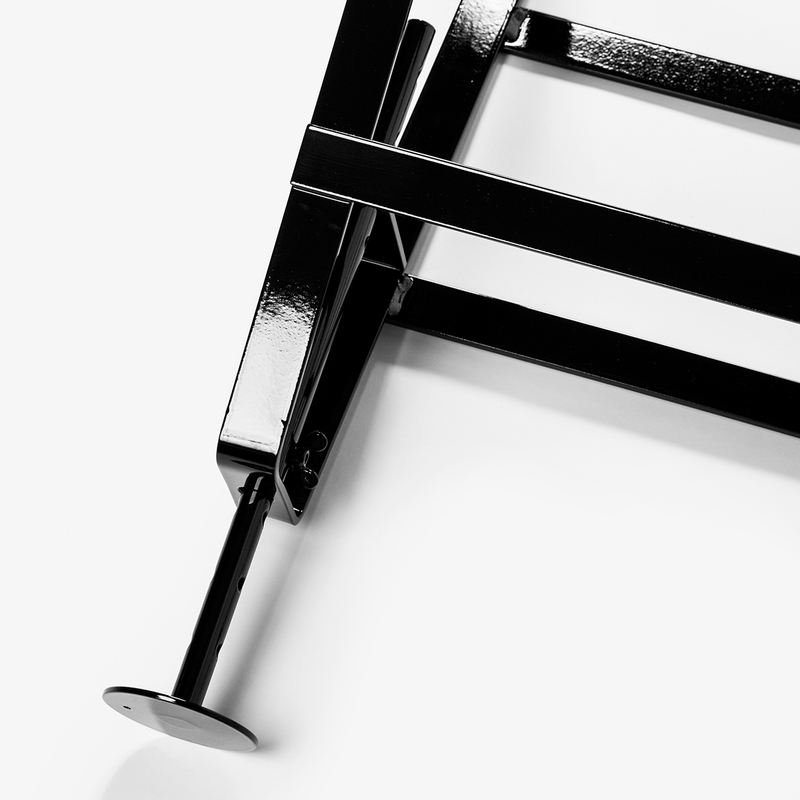 The same variable as Affe but powder-coated plays Lackaffe with the image of solid steel furniture.Thesenfitz & Wedekind called themselves lucky to find something that perfect in form – something that can only be found, not invented. 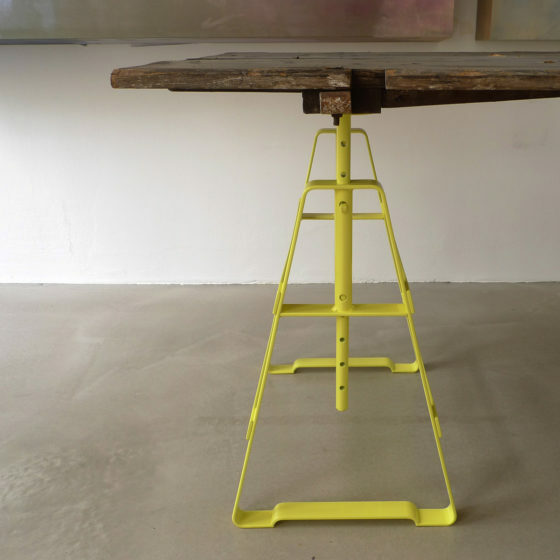 The brothers Andreas and Rainer Haussmann felt the same. They made the trestle fashionable again by manufacturing it in the traditional way with small Berlin craft producers.